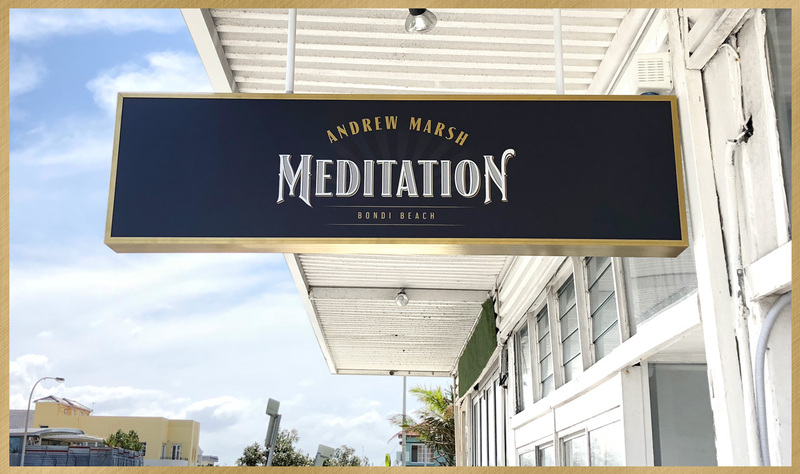 Andrew Marsh provides meditation courses and life mentoring are designed for everyone to enjoy life on a new level, in an effortless and relaxed manner. 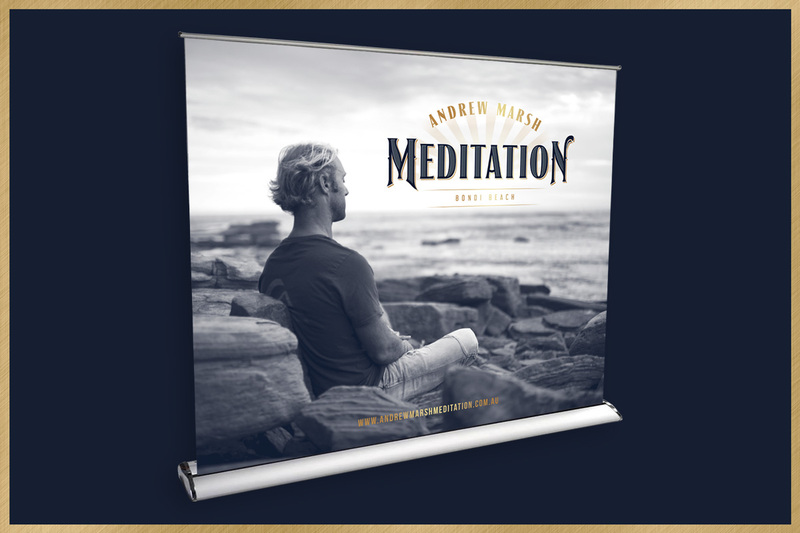 His off-beat humour and larrikinism, combined with his passion for meditation, make him a remarkable teacher. 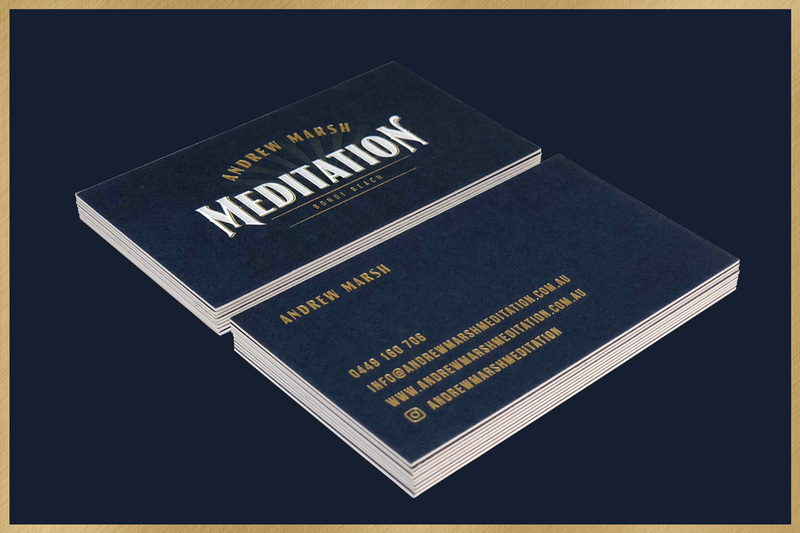 We wanted to design an logo/identity for Marshy that would encapsulate this inspiring meditation teacher and man in all his glory. We aimed to achieve a contemporary yet retro aesthetic that would appeal to a corporate market but also exude personality and fun. 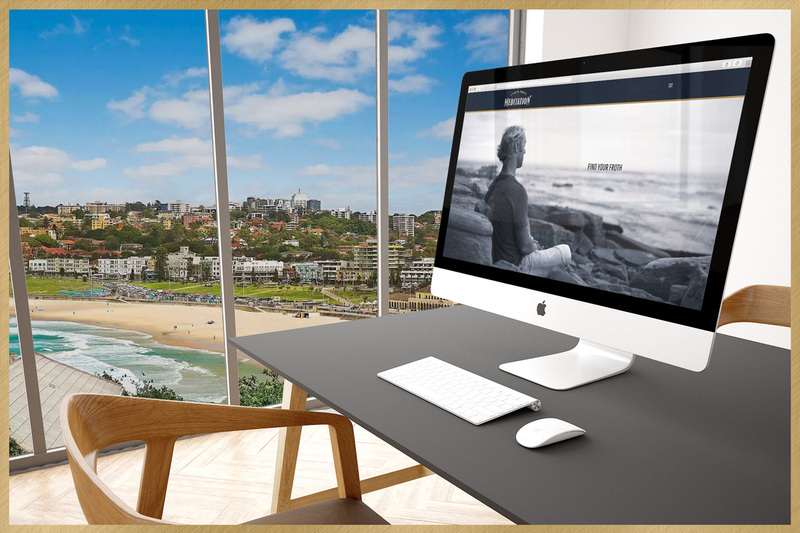 The classy navy and gold/brass colour palette successfully brings it all home!